In a Zero Carb diet, you may miss ice cream… Well, fear not. You can eat a no sugar added, high fat, homemade ice cream. Healthier, and less guilty. I serve it in small batches of around 1 cup each. And you will want a blender or mixer of some kind, along with a mixing bowl. The devil is always in the details. For the cream, you should get one that has no added ingredients in it. Most brand name creams have added ingredients to extend the shelf life, which also add some amounts of sugar. These are to be avoided. 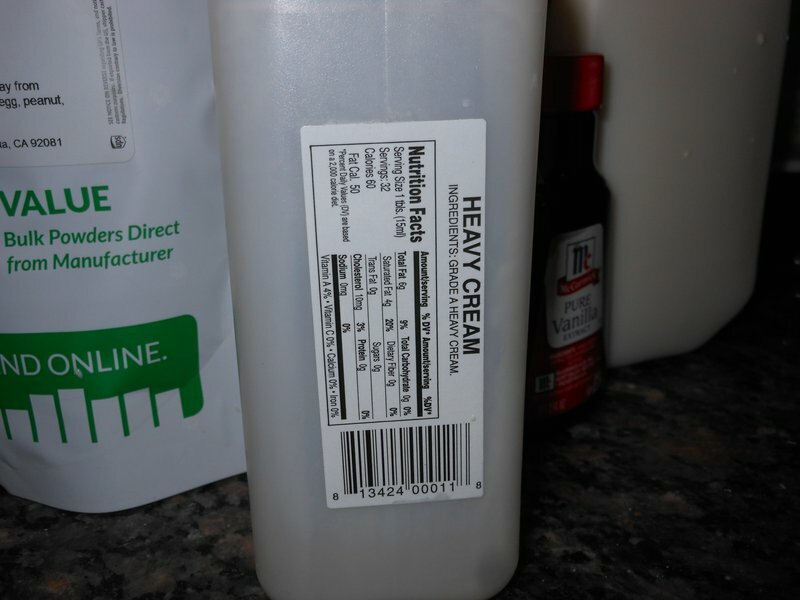 The ingredients of your cream should say nothing more than cream (see image). 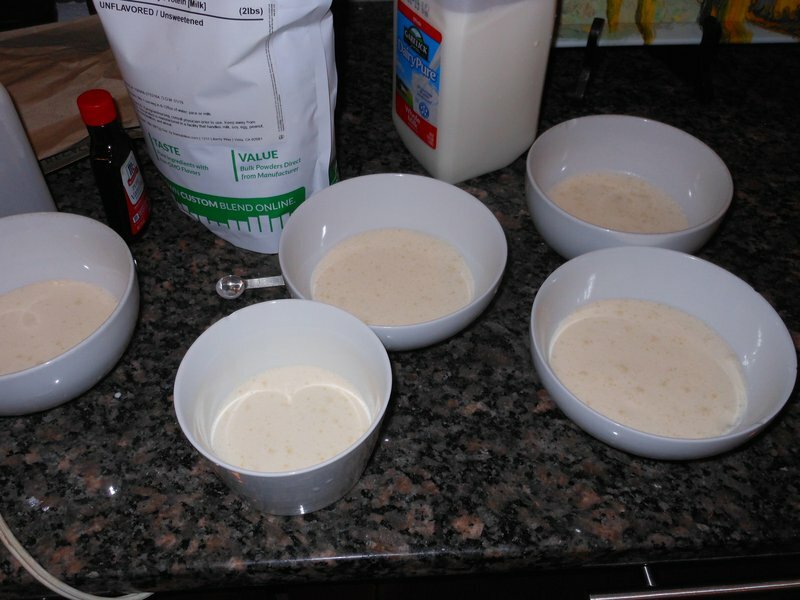 With a blender, or mixer, add the whey, milk, cream and mix. Next, add the stevia and mix. Finally add the flavouring and mix. You can do a taste test of the ice cream. After you have mixed all the ingredients in a bowl, you can pour serving sizes of your desired amount into bowls, and put the bowls in the freezer to become ice cream. Before eating, remove from freezer, let thaw for a few minutes (a microwave can assist in quickly thawing – but don’t overdo it), and enjoy. If you add too much sweetener, it will be prohibatively sweet, and may need to be cut (i.e. you can add more cream to dilute it) with cream, milk, and whey. If you don’t add enough sweetener, the ice cream will taste dull, and unappealing. Aspartame can be substituted for stevia, though the quantity used may differ. If you add too much vanilla, it will be delicious… However, this is a limit to how much vanilla you can eat in a given period of time. Don’t overdo it. If you find yourself getting tired of the vanilla ice cream, try to add a different flavoring. Note that more vanilla can be added to give a different appeal to the ice cream, but this stronger ice cream should be eaten less often. Certainly not every day. Symptoms of overeating vanilla include tiredness and lethargy. At the rate of 1/4 tsp per one pint of ice cream a week, you won’t likely run into this, but if you were to add vanilla to every meal you ate, you would find these symptoms appear. 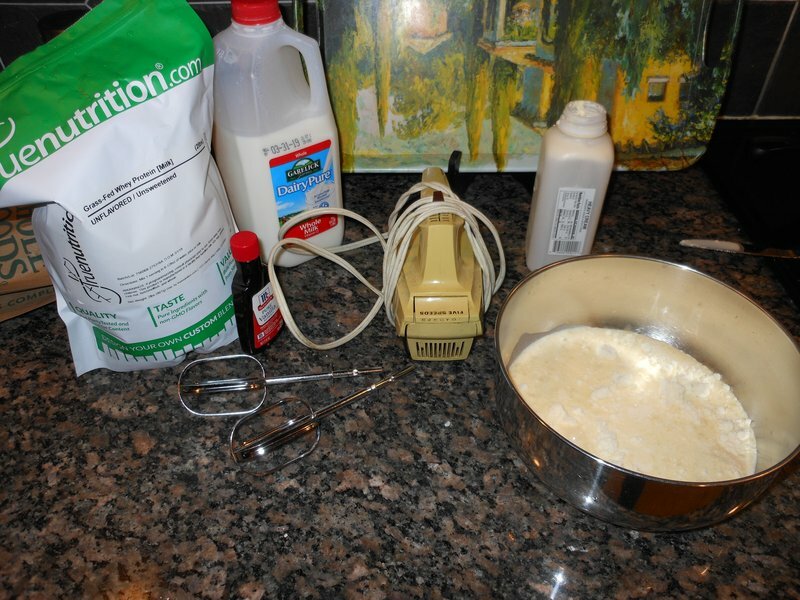 If you fail to use a proper mixer or blender, the whey will not dissipate correctly, and it will remain unmixed. This recipe can not be made with a mixing spoon alone. Use a blender / mixer. Make sure you use fresh cream. Cream that does not have preservatives will expire within a week or a week and a half of arriving at store shelves. Be careful not to buy expired cream. There is no need to use an ice cream maker for this recipe.